The Celebrating Excellence in Care awards are organised by the Quality Assurance and Improvement Team at Plymouth City Council to showcase and celebrate best practice across adult social care, it is a celebration of all the fantastic work taking place across the sector. This year Beyond Limits have a nomination in the “Team of the Year” category for the work they have done supporting Ricky with his trek “Sofa to Sweden” Each member of the team has gone above and beyond to make this work for Ricky, even contributing financially to support Ricky in Sweden. The awards are chosen by an independent panel and we are hoping they will be as inspired as we are and will recognise the hard work that that the team has put in. Taking place at the Crowne Plaza Hotel in Plymouth on the 22nd September, let’s hope we come away with the award on the night. 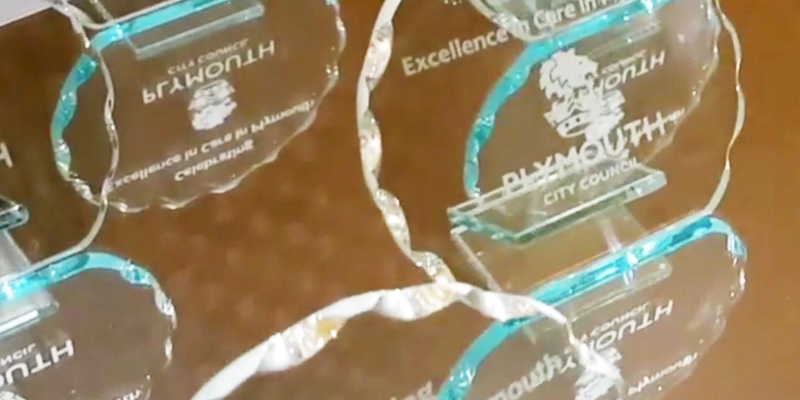 For more information about the awards visit the Plymouth Online Directory Celebrating Excellence in Care awards page. Good Luck Team Ricky, the whole of Beyond Limits is behind you !